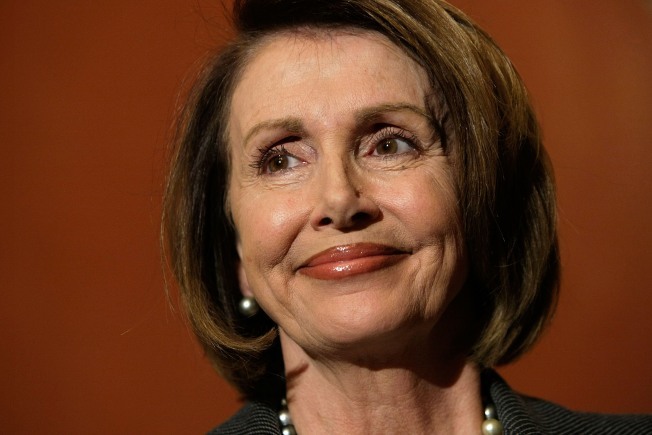 U.S. Speaker of the House Rep. Nancy Pelosi (D-CA) won't take a cost of living increase in pay next year. With the economy in deep decline, members of the House will also feel some of the pain, forgoing their annual pay raise next year. Speaker Nancy Pelosi (D-Calif.) told Democrats in their closed-door caucus meeting on Tuesday that party leaders would tell members of the Appropriations Committee not to include a cost-of-living increase in members' salaries for 2010. Lawmakers will make about $174,000 a year in 2009 – but congressional leaders like Pelosi and Senate Majority Leader Harry Reid make more than that. In a further bid to shore up the exploding debt, the speaker said leadership has asked committee chairmen to hold hearings on how federal funds are being spent - a priority of President Barack Obama. "We'll be looking at everything from entitlements to defense spending, student loans to every dollar that the federal government spends," she told reporters afterward. Rank-and-file Democrats had been making noise about blocking the annual pay raise in next year's spending bills had leaders not made their recommendation. "It would not be appropriate for us to do COLA next year," said House Majority Leader Steny H. Hoyer (D-Md. ), who typically advocates for the annual pay raise.